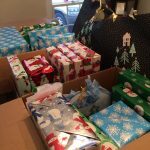 Insight celebrated another holiday season in 2016 with the gift of giving. 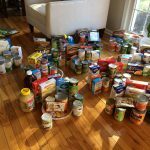 In November, Insight supported a Thanksgiving food drive coordinated by the organization A Wider Circle, providing 10 families with foods to prepare well-rounded meals. Each family also received a $25 gift card to purchase additional items such as a turkey or fresh produce. In December, Insight teamed up with A Wider Circle again to purchase Christmas gifts for a family in need, including laptops, electronic tablets, books, toys, and gift cards.